Youth Social Innovation: A myth Or Reality? Across Nigeria, the myriads of challenges confronting people in local communities appear to be ever increasing. Much of daily living seems to be a major hurdle fraught with constant chaos: weak and ineffective institutions, low and inadequate education, absence of basic amenities, over population, environmental degradation, flawed values system, corruption and a host of related concerns that plagues Nigeria, threatening its posterity. The blame game has played out its allure over the past decades, only worsening the situation, with 67 percent of the entire population reportedly living in poverty, according to the World Bank. Therefore there is a crucial need to create and propagate a new consciousness amongst youth on the possibilities of solving existing social, cultural, economic, political and environmental obstacles confronting Nigerians. Youth-led social innovation therefore becomes a critical approach for igniting positive change drive across Nigeria by harnessing the passion, energy and creativity of young people for community transformation. This is predicated on the belief that young people, especially Nigerian youth, if provided with the requisite skills and tools for personal, organisational and community transformation can serve as effective and credible change agents that can help actualize Nigeria’s full potential. This also supports LEAP’s advocacy on leadership being about actions and not a position, and that youth are leaders of today, not tomorrow. These beliefs serve as the core thrust of LEAP’s youth leadership development philosophy and vision for the recent launch of a Social Innovators Programme (SIP). Over the past nine years, LEAP through an annual leadership awards has recognised and supported 65 notable young Nigerian change agents and their initiatives; showcasing their amazing efforts at transforming local communities. The initiatives span various sectors addressing peculiar needs in their communities; from producing green alternative energy to mobilizing youth to take action on climate change. Amongst the 65 awards recipients include: Esther Agbarakwe, Nigerian Youth Climate Coalition; Nonso Okafor, Be Your Own Boss; Nura Maaji, Voters Education Training; Segun Shetan, BraveHeart’s Entertainment; Toyosi Akerele, RISE Networks and Obayomi Adeleke- Bio Applications Organic Wastes: An Engine for Development Initiative. 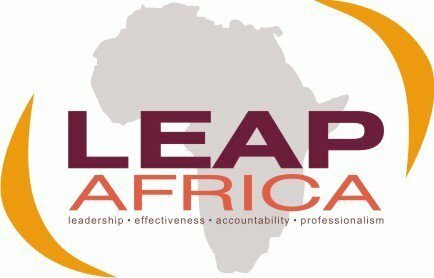 It therefore comes as no surprise that LEAP Africa, beyond the recognition of these youth change agent, finds a need to advance the cause of youth-led social innovation through the Social Innovators Programme (SIP). The SIP is an initiative developed in partnership with YouthActionNet®; a programme of the International Youth Foundation (IYF), a non-profit organization supporting youth development programs in 80 countries. The programme joins the YouthActionNet® global network comprising 16 national/regional youth leadership institutes across the world. SIP will identify, develop and support young Nigerians who are addressing social challenges in their communities through creative and sustainable solutions. Twenty young social innovators, selected from an open national call for application, were inducted as fellows of the inaugural class of the SIP at the programme’s launch held on November 11, 2013 in Lagos. These fellows would be engaged on a year-long fellowship which offers training, mentoring and networking opportunities thereby enhancing their impact, credibility and access to international funding for their initiatives. The SIP culminates with an award for outstanding members of the cohort at the end of the programme cycle in 2014. Some of the SIP Fellows inducted include: Ayoola Ajebeku, co-founder of Nearest Locator, an app designed for developing countries for easy navigation; Jackson Akor, co-founder of Initiative for Youths with Disabilities Empowerment and Advancement (IYDEA) which empowers physically challenged youth with skills to become entrepreneurs; Halimat Odewale, co-founder Nigeria Diabetes Online Community (NDOC), an initiative to improve diabetes care via the use of social media; Otto Orondaam, founder of Slum2School Africa, an initiative which provides educational support structures in slums. As reflected by the keynote speaker at the SIP launch, Mr. Rick R. Little, the founder of the International Youth Foundation, Nigerian youth need to live in the gap, become learners who know they can stand on the shoulders of those who have gone ahead of them and those running with them, and never ever giving up in their quest for self actualization. While governments at all tiers and private sector players continue to seek ingenious means to address the diverse challenges confronting communities especially youth development, investing in programmes like the SIP would have a ripple effect in transforming the mindsets of a larger number of youth who either aspire merely to survive or are disillusioned with their entitlement-mentality. Only time will tell if Nigeria would harness its youth potential as drivers for advancing sustainable community development and transformation or simply allow more youth plunge into a state of apathy. Is Bola Tinubu The Problem With Nigeria?